Letter published by Crain’s Chicago Business, July 13, 2018, view here. A June 18 Crain’s Chicago Business editorial (“Better late than never at O’Hare“) lauded the recent agreement between the Illinois Tollway and the Canadian Pacific Railway, clearing the way for building a western access to O’Hare. Choose DuPage Economic Development Alliance and DuPage County officials share in celebrating the clearing of this final hurdle, but respectfully challenge the notion this agreement means planners must look at the entire project anew. Certainly, market conditions have changed since the concept of Western Access O’Hare was first discussed. However, it’s important to recognize the planning and growth that have already taken place along O’Hare’s western corridor. The project began with an addition of nearly 50 expressway lane-miles. By converting Thorndale Avenue into a limited-access, four-lane highway, it has created an extension to the Elgin-O’Hare Expressway, opening the opportunity to build a bypass that connects I-90 and I-294. The new I-390 tollway that opened last fall is part of the western access effort that will eventually connect to O’Hare, creating a western access point to the airport—a project vital to our region, and especially DuPage County. Communities within 3 miles of western access have identified more than 30 planning areas where they are seeking to incentivize with development, or redevelopment, in the hopes of modernizing and diversifying economic sections. These plans include a downtown revitalization effort for Bensenville and Wood Dale, as well as Elk Grove industrial park modernizations. 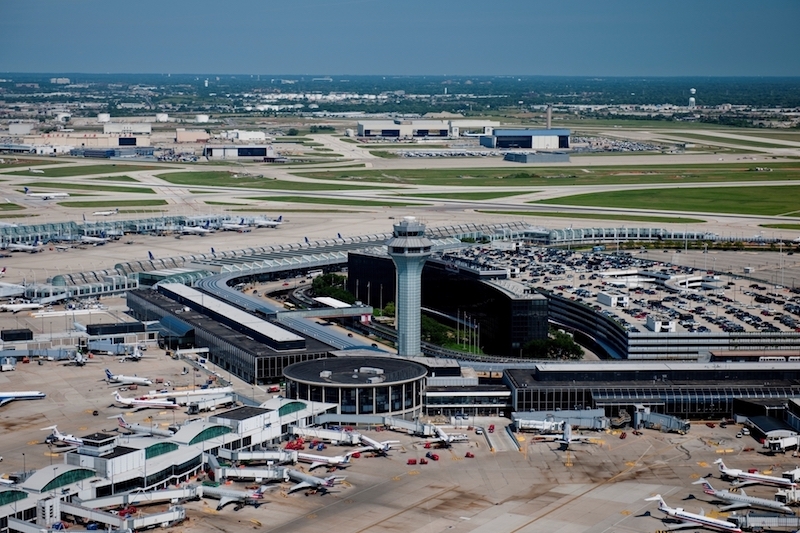 Since 2014, the Choose DuPage Economic Development Alliance has worked with the Illinois Tollway and regional public- and private-sector leaders to establish the Western Access O’Hare Corridor as a premier global business location. According to the Elgin-O’Hare Western Bypass Advisory Council, the economic benefits of this project include the creation of 65,000 jobs by 2040; 13,450 jobs will be created annually in the region during construction. Travel delays will be reduced, saving an estimated $145 million annually by 2040, in addition to an expected increase of local tax revenues of $29 million annually. As our region builds the foundation for successful development along the western suburbs bordering O’Hare, DuPage County continues to thrive, maintaining the lowest unemployment rate in the Chicago area and declining industrial vacancy rates. We would like to take this opportunity to invite the public and business community stakeholders to visit and see firsthand the ongoing progress associated with western access that is creating jobs and opportunity today.